A sound swirling and pulsating in front of which it is impossible stop dancing. After the intense and fitting tribute to the music of Fela Kuti that took shape in the previous disc, Opposite People (Felmay 2011), the band promulgates today its manifesto headline, Afro Future Funk, their last recording effort made up of original compositions. 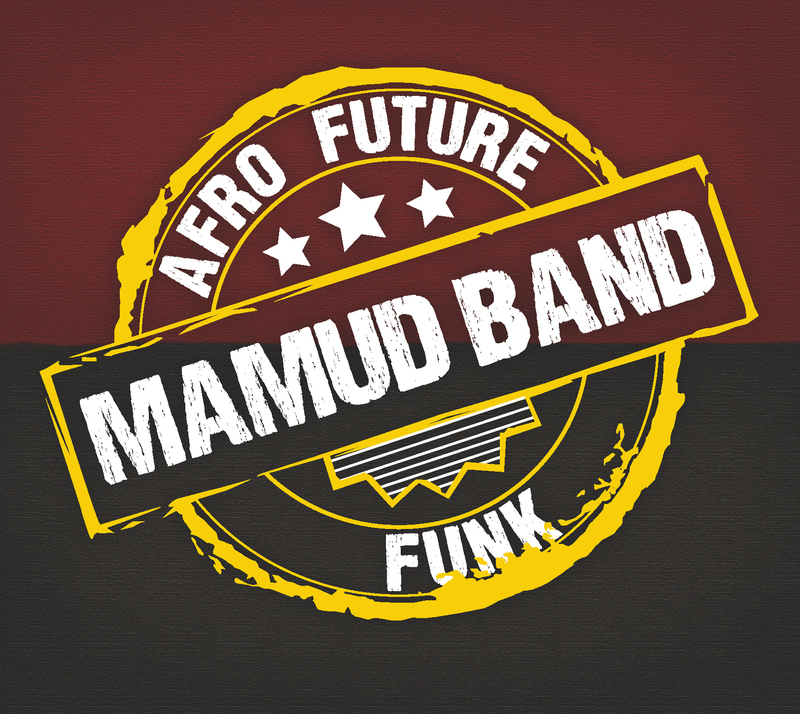 African Future Funk wants to be a container of everything that has populated the creativity of this band: the immense heritage of African music, Brazilian, Cuban, Jamaican and Afro-American and that enjoys the precious signature of musicians of great stature. MAMUD BAND is a reality that in the course of twenty years, and for much of this under the guidance of its founder Lorenzo Gasperoni, has managed to stand out in the Italian scene for creative compositional interest and prestige of the soloists involved. We remember the happy collaboration with the legendary trumpeter Lester Bowie in 1998, participation over the years of distinguished jazz musicians of the peninsula and the presence of the band at prestigious festivals. Today the ensemble is strongly characterized by the imposing rhythm section that sees Lorenzo Gasperoni with James Pellegrini on drums and Sergio Quagliarella on drum. It is the result of a deep research, often done on site, in the immense heritage of African music, Brazilian, Cuban, Jamaican and Afro-American and that enjoys the precious signature of musicians of great stature, such as Giovanni Venosta on keyboards, Alberto N. A. Turra on guitars, William Nicastro on electric bass, baritone saxophonist Marco Motta, Simone Maggi on trumpet, Paul Profeti on alto and Mr. Bobcat on vocals. After the intense and fitting tribute to the music of Fela Kuti that took shape in the previous disc Opposite People (Felmay 2011), the band promulgates today its manifesto headline, Afro Future Funk, their last recording effort. It is totally made up of original compositions and has seen the light with the help of the producers Diego Cattaneo and Sergio Quagliarella. African Future Funk wants to be a container of everything that has populated the creativity of this band. We find then in the compositions Afro Future Funk and Latte + important traces of Afrobeat and Afro-Cuban music, Ethio-jazz with Miles Davis influences in German Funk; echoes of the legendary Herbie Hancock’s Head Hunters and James Brown in the songs Mr. Mamud and Talmud that offer a closer look to the great visionary of funk African American 70's of bands like Mandrill or funky-latin-music like Chakachas, as in the case of Wasp and Mambo Chic. Compositions Sirius Hymn and Two Warnings reveal another side of the new work, deeply rooted into love for devotional traditions in Benin and Yoruba in the first case, with the excellent cameo by Giovanni Imparato on vocals and percussion, while in the second firstly the slow blues of Ali Farka Touré and Jay Hawkins, and then the Afro-jazz of Ellingtonian and Mingusian matrix. Special case are the tracks that see the wonderful participation of Mr. Bobcat on vocals, with a clear vocation reggae / dub (Careful, Tangible Dream) but with the stylistic writing of the woodwinds now typical of Mamud Band.